Discovering that you have a hearing impairment can be an emotionally challenging time for many people. However, when your profession relies on a finely tuned ear, this can be an additional blow. 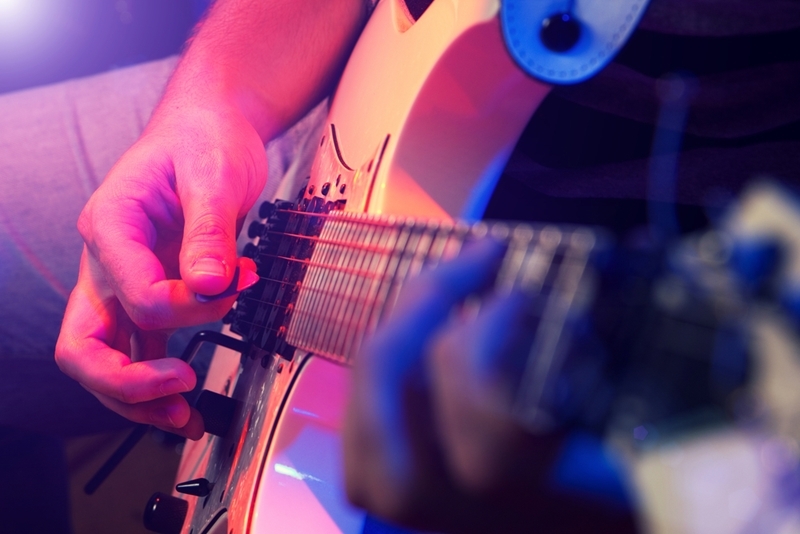 Many musicians are exposed to loud volumes through their line of work, putting them at risk of noise-induced hearing loss, as well as tinnitus. However, just because you have hearing loss, doesn't mean you have to give up playing music. After discovering that he had severe hearing loss in one ear back in 1978, Stu Nunnery spent a long time without music – 30 years, in fact1. However, thanks to advances in hearing aid technology, Stu made a return to music, getting back to singing and the piano. "There are many musicians with hearing losses of every kind and degree – some friends and colleagues – who have, despite great challenges, continued or found their way back to music out of their deep love, talent, and an unquenchable passion to hear it, play it, sing it, and enjoy it – whatever it takes," Stu told HearStrong. Professional bass player Rick Ledbetter went through a trial and error process when he first discovered he had a hearing problem. "Around 1989, at a recording session, the engineer told me that he had my headphones up very loud, and suggested I get my hearing tested. The test revealed my worst fear – I was losing my hearing, and subsequent tests revealed an increasing loss," he told Hearing Aids for Music2. Ledbetter described how it became increasingly difficult to hear conversations, as well as perceive pitch, meaning that his work took a hit. After going through a number of options, Ledbetter learned to programme his own hearing aids to adapt them for live performances. His advice for musicians with hearing aids? "Miscommunication is a big problem in the process of getting the aids set right. The patient and the audiologist need to establish a common language to describe and understand what the hearing aid wearer is experiencing." If you are a musician, and believe your hearing is beginning to suffer, it's important to act sooner rather than later. You can book your no cost* hearing check with your local HEARINGLife clinic by clicking here, or by giving our team a call on 1800 030 502. 1HearStrong, Champion – Stu Nunnery. Accessed May, 2017.